One analytical site said Dickson's debut "may have been the best game an NFL punter ever had." Another determined he was worth a whole 9.66 points for the Seahawks. The rise of analytics has led to a lot of different methods to determine success or failure in an NFL game. 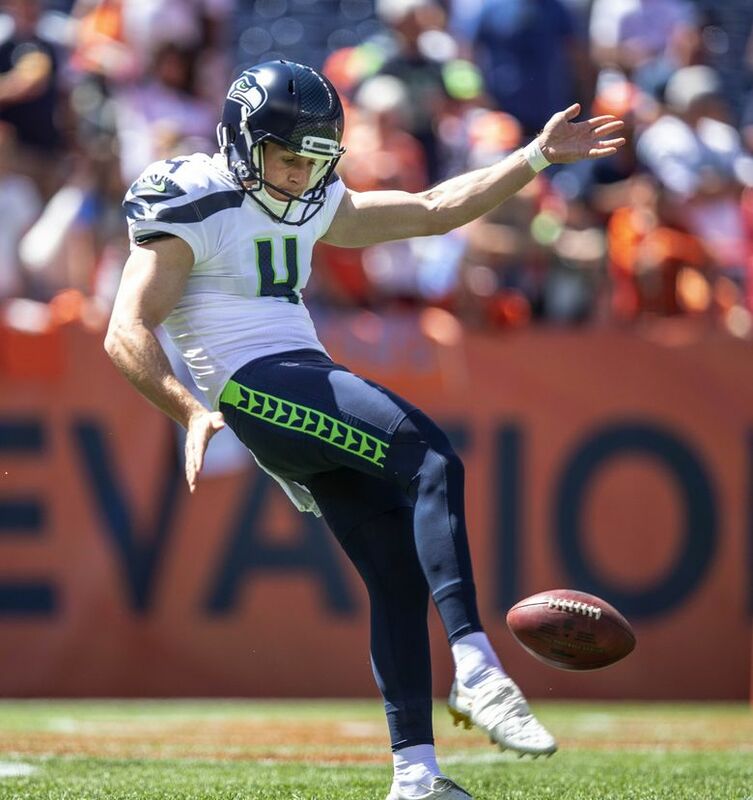 And after Michael Dickson’s unquestionably impressive punting Sunday at Denver — his 59.0 average per kick was second best in Seattle history behind Jon Ryan’s 60.0 against New England in 2012 — analytics junkies have delved into deeper numbers to find new ways determine just how amazing it was. Among the conclusions of Football Outsiders is that Dickson’s punting — in which he downed four inside the Denver 20 — was worth 9.66 points for the Seahawks. Meaning that without Dickson being Seattle’s punter, the Seahawks would have lost by 13 points instead of three in what was an eventual 27-24 defeat (or some combination therein). A few days later, Seahawks special-teams coach Brian Schneider was asked if he’s seen those numbers. He replied that there is really only one he cares about — the difference in the net average of Seattle and its opponent. Net punting average is the distance of the punt minus the return. That would have ranked ninth last year in the NFL for a full season. But Seattle’s net of 57.5 yards — the second best for any game in NFL history in which a punter had more than four punts — put that to shame. “That’s the biggest (difference) I’ve ever seen,’’ Schneider said of Seattle’s 15 yards advantage per punt. Schneider, who has been Seattle’s special-teams coach since 2010, said he couldn’t think of any other game that has come close. It also didn’t escape the attention of Seattle coaches that each of Denver’s three touchdown drives followed touchdowns. Meanwhile, the Broncos got a lone field goal out of the six possessions that followed Seattle punts — Denver punted on the other five. Even thought Sunday marked Dickson’s first NFL game, it hardly caught the Seattle coaches by surprise. They became enamored of him during the process of scouting for the 2018 draft, in which they ultimately made a trade with Denver to move up to take him in the fifth round. “He’s just a really mature, talented kid,’’ said Schneider of Dickson, who grew up in Sydney, Australia, playing Australian Rules Football before famously deciding to try punting instead and landing at Texas, where he spent three years and last season won the Ray Guy Award as the best punter in college football. That accolade led to Dickson deciding to leave school with a year of eligibility left, a rarity for a punter. The Seahawks were hardly alone in scouting Dickson, and Schneider had lots of company when he attended Dickson’s Pro Day in Austin in late March — reports at the time stated all 32 teams had representatives there. But Schneider left Austin convinced the Seahawks had to draft him. As Schneider recalls it, a thunderstorm hit the area and it was unclear if Dickson would hold his Pro Day in Texas’ indoor bubble or outdoors. Schneider said Dickson conducted initial workouts indoors just to show the scouts who were there something, anything. Schneider said two minutes before it had been determined Dickson would do some full punts in the indoor center it cleared up just enough that he could go outside. Which Dickson proved anew Sunday. Now the question is if there is anything anyone can do to defend Dickson. No doubt he was aided by Denver’s 5,280 elevation Sunday, so punts averaging close to 60 yards every Sunday aren’t realistic. Conversely, there’s only so many ways opponents can defend a punter. Among a lot other things.